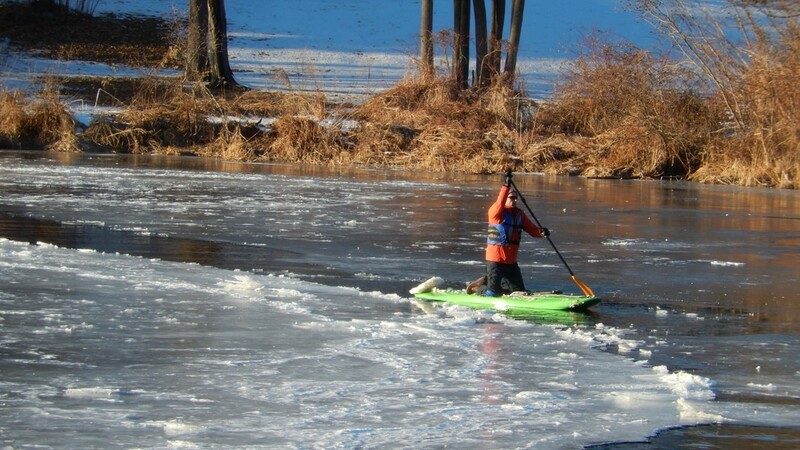 The ice disc in Westbrook is spinning again, thanks to local paddle-board hero Andrew Sims of Freeport. 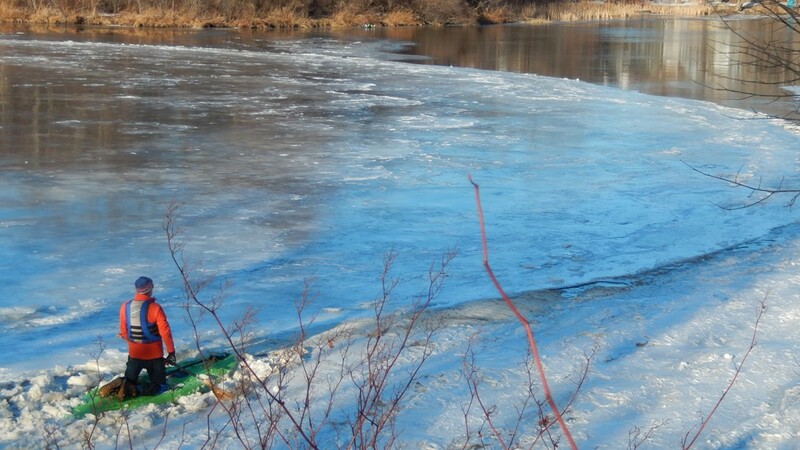 WESTBROOK, Maine — Andrew Sims was one of many people disappointed to find out that the famous ice disc in Westbrook had stopped spinning Wednesday. That's why the Freeport-based photographer decided to grab his paddle-board Thursday evening and attempt to free the circular phenomenon that people have been talking about around the globe. 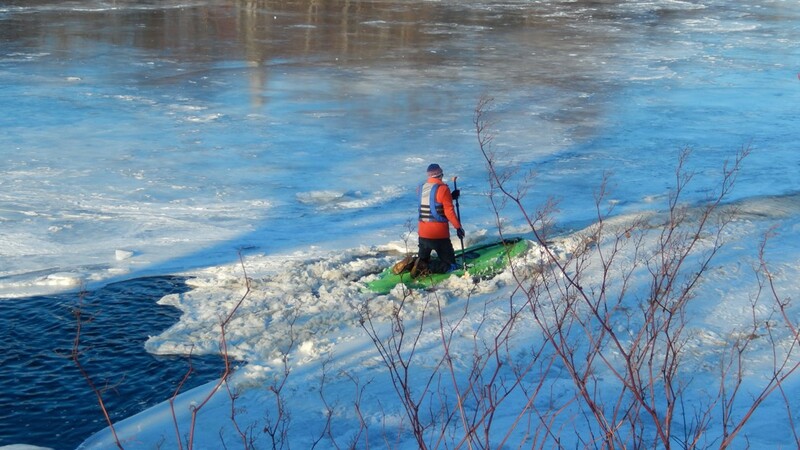 "I wanted to help out and a get time-lapse of it spinning at night, so I gathered my resources and took my paddle-board out," Sims told NEWS CENTER Maine. The determined man said he spent a couple of sweaty hours working at the disc - but finally, it began to move. "People clapped," Sims laughed. "The game warden told me I had to take a break at one time, but he was nice about it." 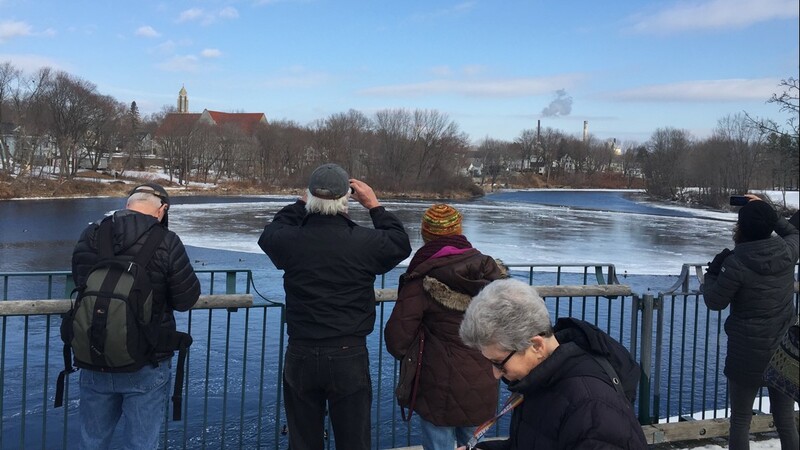 Sims said that for photographers and tourists alike, the ice disc is an incredible conversation starter. "I just think it's great for Maine. I grew up here, and once I saw it on national news, I said, 'I have to check it out.'" 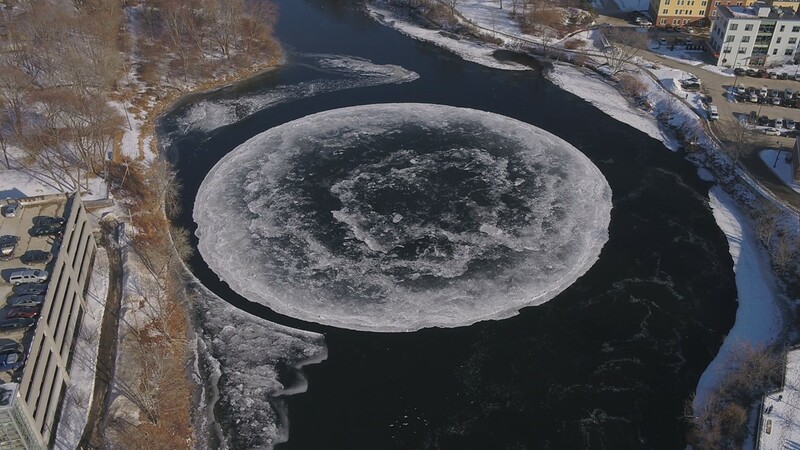 The ice disc was likely formed by a combination of fast currents in deep water and slow currents in shallow water with freezing temperatures to create ice. The natural phenomenon has made headlines on programming like CNN and Good Morning America, and news of the unusual sight has reached countries as far away as Australia and Japan.